Northerntruthseeker: A Sign That The Economic Situation In Canada Is Now Worsening: Target America Is Pulling Out Of Its Canadian Operations! A Sign That The Economic Situation In Canada Is Now Worsening: Target America Is Pulling Out Of Its Canadian Operations! 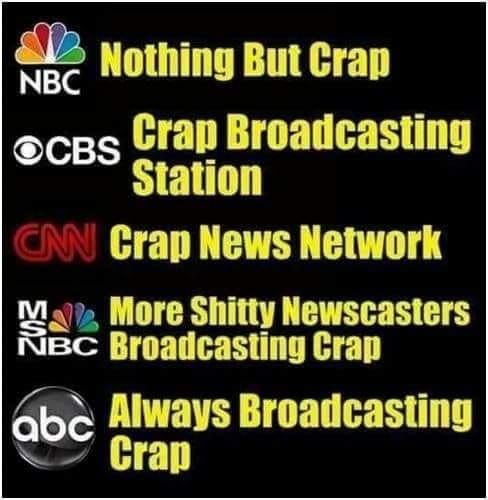 I decided to take a slight detour from all the Charlie Hebdo false flag shooting reports that are still being shilled by the Jew spew media.... That false flag has swallowed up way too much of all media "reporting" and has indeed diverted peoples' attention away from what matters, including the serious economic situation that is now upon us! After less than two years in Canada, Target has announced plans to abandon the Canadian marketplace, shutter its 133 stores across the country, and file for creditor protection. The announcement Thursday not only stunned Canadian shoppers, it dealt a huge blow to Target Canada's 17,600 employees. The company says that to ensure fair treatment of its employees, nearly all its workers not needed during the wind-down period will receive a minimum of 16 weeks of compensation, including wages and benefits coverage. 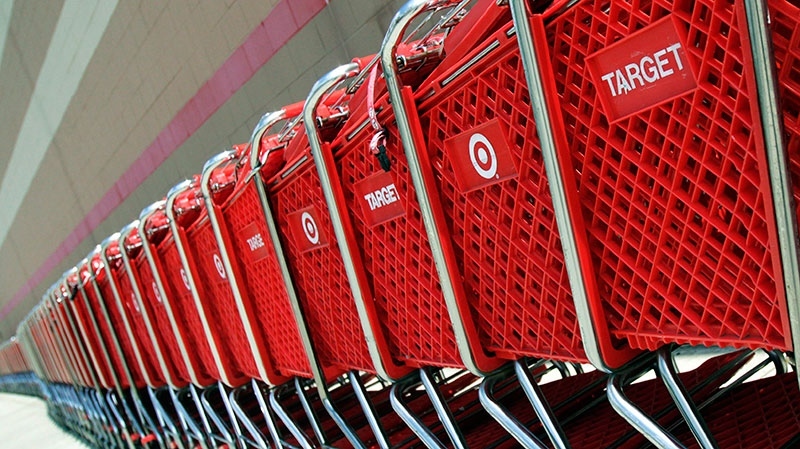 Target says it will discontinue operating stores in Canada. It currently has 133 locations and 17,600 employees across the country. 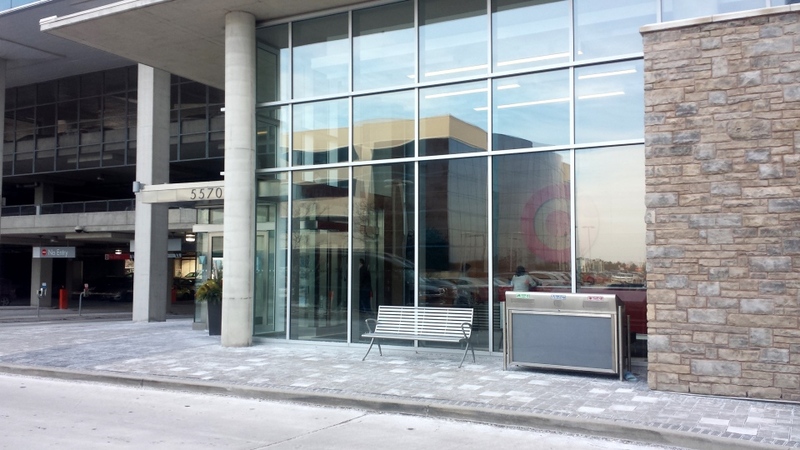 Target Canada headquarters in Mississauga, Ont. shortly after the announcement they were pulling out of Canada, Thursday, Jan. 15, 2014. The company said it plans to exit Canada in a “fair and orderly way,” seeking court approval “to begin a liquidation process.” All of its stores will remain open during that process. Target Corporation CEO Brian Cornell said that, after thoroughly reviewing the company's Canadian performance, the company decided it wouldn't reach full profitability in Canada until at least 2021. He said along with Target's board of directors, the company determined that it was in the best interest of shareholders and the corporation to exit the Canadian market and focus on growth in their U.S. business. He said the decision to pull out of Canada was a difficult one, but believes it will be the right one. "There is no doubt that the next several weeks will be difficult, but we will make every effort to handle our exit in an appropriate and orderly way," he said in the statement. Target's announcement in 2011 that it had bought 220 Zellers locations from Hudson’s Bay Co., and was coming to Canada, was met with excitement by retail analysts. Canadian shoppers, too, looked forward to nabbing the great deals they had come to love at Target stores south of the border. But the company's debut in Canada was marred by significant inventory problems that left many shelves bare, and shoppers frustrated. Canadians also expressed disappointment with the prices at Target Canada stores, which many insisted were markedly higher than in the U.S. outlets. Retail analyst Doug Stephens says ahead of its debut, Target built up a lot of excitement among shoppers with a "brilliant" advertising campaign. But he believes the decision to roll out the new stores in one big launch may have been a fatal one. "They opened over 100 stores all at once, which for any chain is an incredibly ambitious project -- probably way too ambitious. They probably should have started with much fewer stores," Stephens told CTV News Channel from Las Vegas. While revenues came in well below expectations, Target terminated its president of Canadian operations in May 2014, replacing him with a U.S. company veteran and vowing to address inventory issues to woo back customers. Cornell said Thursday the company spent the last year working to "improve the fundamentals" and "build a deeper relationship with our guests" in Canada. But sales over the Christmas shopping season were disappointing. "We hoped that these efforts in Canada would lead to a successful holiday season, but we did not see the required step-change in our holiday performance," Cornell said. NTS Notes: Why am I not surprised by this announcement? Target came into Canada expecting to grab much of the marketplace here, but as noted put too many stores in too quickly, and with retail pricing that was absolutely atrocious at times considering that most Canadians are indeed bargain hunters! It's the same here in the UK. Shopping streets deserted, stores closing. And unlike in 2008, the West is now out of policy options. Just got the news flash that Sony is closing their stores in Canada as well..
Full-Blown Putsch since the BC Liberal Graft Vultures threw me off Welfare March 2003. Bring it All Down. Welfare-Cuts in yer Talmud Commie Faces. There's a Couple of Pop Bottles out by the Road Just for You, Traitor Harper. Go buy some Kleenex and Cry Me a River. Wal Mart! Wal Mart! Wal Mart! That is all we need for our chattel shopping needs. Nothing more. If Walmart don't got it in stock, it ain't worth having. I went to Target when it opened. It was exactly what I expected and never returned. You foolish people thinking you need quality or choices in your purchases. Consider yourself lucky to be able to afford Wal Mart! Wal Mart! Wal Mart! Sort of reminds me of "black friday" when I watched all the cattle-like zombies line up like sheep to "consume"..."consume"... "consume"!!!!!!!! I have a Target located in a small mall near me on the border of Boston. I have very little in "disposable income" and live a spartan life, but I do go into this Target once in a while and it is always well stocked and always has lots of customer traffic. We have Walmart, Target, and Kohl's department stores here. Got any GNC stores in Canada? I don't think I've ever seen a customer in GNC as I pass by. I'm talking many, many years. NTS, don't bother publishing my comment about Target. It says nothing and is useless. Thanks.